Brazil’s central bank workers can watch games. Brazil’s central bank will allow commercial banks to open for an hour less on days the host nation plays in soccer’s World Cup so workers can watch games. Commercial banks must open for at least four hours on days Brazil plays in the monthlong tournament, which starts June 12, the central bank said in a statement today. The Planning Ministry already said public employees can leave work at 12:30 p.m. on days Brazil plays. The announcement didn’t apply to state-owned banks including Banco do Brasil and Caixa Economica Federal. 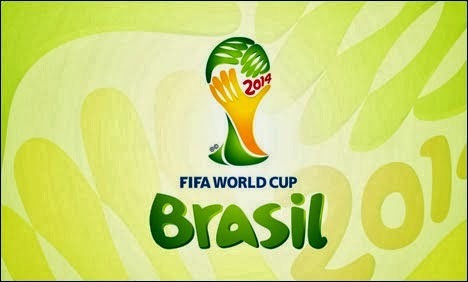 Brazil faces Croatia in the opening game, and also plays Mexico on June 17 and Cameroon on June 23 in the group stage. The host nation is the 3-1 favorite to win the tournament for a record-extending sixth time. Brazil’s sports minister Aldo Rebelo said last year that investment in the World Cup will add 0.4 percent to economic growth per year through 2019. The world’s second-largest emerging market grew at an average 2 percent from 2011 to 2013, its slowest three-year pace in a decade. A 2012 law allows the federal government to declare a holiday when the Brazilian team plays, while World Cup host cities can also declare a holiday for match days.